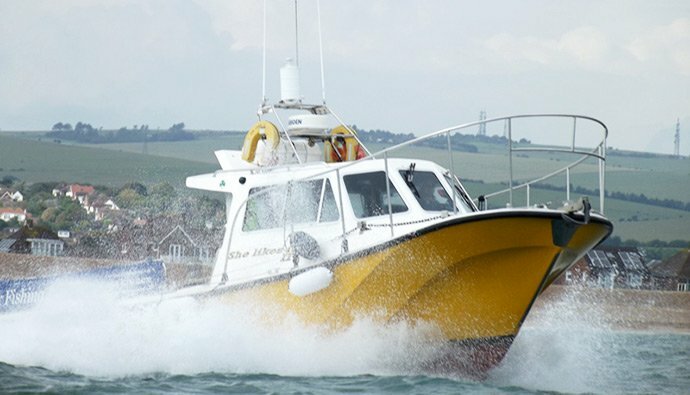 Why not come and enjoy a spectacular boat trip from Shoreham Harbour. With breathtaking sea views of the Sussex Coast aboard She Likes It II. Our boat trips are the perfect way to enjoy the wildlife, water and nature of the Sussex coast. A unique and educational day out, that is ideal for children. They will be absolutely thrilled with the scenery and experience. Although She Likes It II is primarily an angling boat, there is no reason not to charter her for a day out or just a few hours. Just to experience being afloat and getting a hook wet if you wish. I have had customers who have just booked to go out for a picnic afloat and have a relaxing day in the sun, plus catch a few fish for the evening BBQ. I can of course provide longer trips to suit. Please contact me to discuss your requirements. The precise Latitude, Longitude and time of the ash scattering will be noted in the boat’s log book and of course this information is available to you should you wish to have a record.